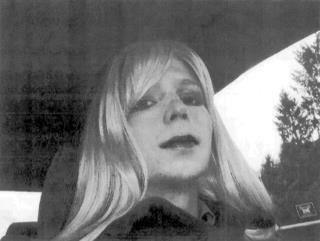 (Newser) – Chelsea Manning, currently three years into a 35-year prison sentence for passing information to WikiLeaks, gave an interview to Amnesty International in which she discusses the power of the government, her life in a military prison, and more. The Guardian has an exclusive excerpt from that interview, which will later be published in a book. In the interview, Manning says she is scared of the government, which is incredibly powerful, especially when compared to individuals. "I am always afraid," she says. "It is very terrifying to face the government alone." awwwwwwwwwwwww poor baby! better dead than fed!